Napoleon was, by 1813, the victim of his own success. "Napoleon was, by 1813, the victim of his own success. His Grande Armée had ransacked most of Europe, but then the Prussians, Austrians, Russians, Swedes and others converged their armies, collectively known as the Sixth Coalition, around Leipzig in an attempt to annihilate Napoleon once and for all. The coalition commanders knew they had to approach cautiously. Napoleon had previously defeated each of those nations’ armies, and had demonstrated a remarkable ability to overcome unfavorable odds before. At Leipzig, however, Napoleon was heavily outnumbered, and the princes of Europe realized there might never be a better chance to vanquish him and finally end the Napoleonic Wars. Leipzig utilizes an all-new Musket & Saber Combat System, which provides a simple yet accurate portrayal of Napoleonic warfare. The combat system is intuitive, including all the details that characterized battle during the era while also simulating the unique aspectsof 19th century warfare. Units can become weakened and rout; attackers can pursue, and the fortunes of war can intervene at any time. Cavalry can rip open enemy lines and shred fleeing units, and reserves must be ready to plug holes or secure a line of retreat. 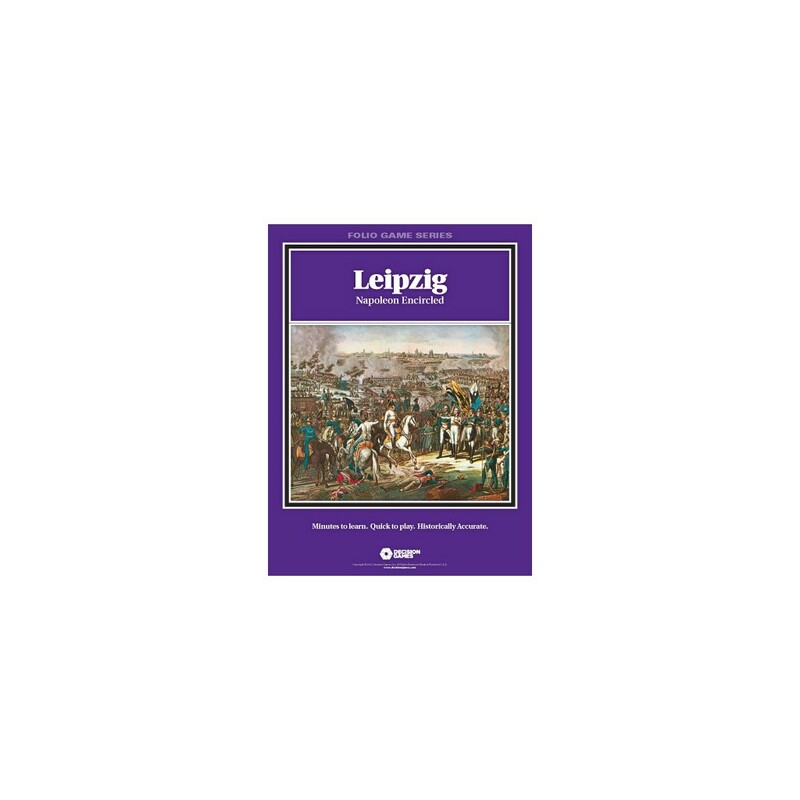 In Leipzig a new Combat Results Table emphasizes playability while also simulating the lethality of musket and bayonet engagements of that time. Leaders accelerate the action, replicating the importance of their presence during battle, and supply lines require players to protect their logistical trains. Winning a battle will depend on deployment, maneuver and massing firepower, as well as the strengths and weaknesses of each particular army.